United Services Automobile Association (USAA) is committed to assisting people and families of those who serve, or served, in the United States military by offering a wide range of financial products, tools, and services. The membership is open to active, retired and honorably separated officers and enlisted personnel of the U.S. military, along with their eligible family members. 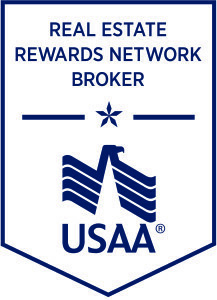 Qualified members have the free benefit of the USAA Real Estate Rewards Network. Using this service makes home buying experiences easy and gives rewards ranging from $350 to $6,000 based on the price of the home. Through this program, members are connected with experienced, local real estate agents and dedicated USAA support to expertly guide them through the process. Tom Webb is a proud supporter of US Military families. Request Tom as your agent to receive expert advice and a marketing professional that will lead you to exceptional results. For additional details on this program, please contact Tom Webb.